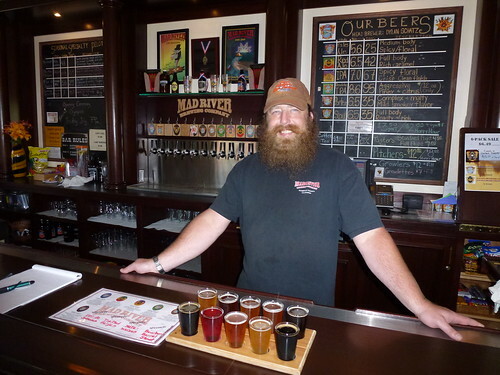 Today is the 47th birthday of Dylan Schatz, brewmaster at Mad River Brewing in Blue Lake, which is where he’s originally from. Dylan started in 1999 in the brewery’s packaging department, on the bottling line, and immediately fell in love with the beer industry. 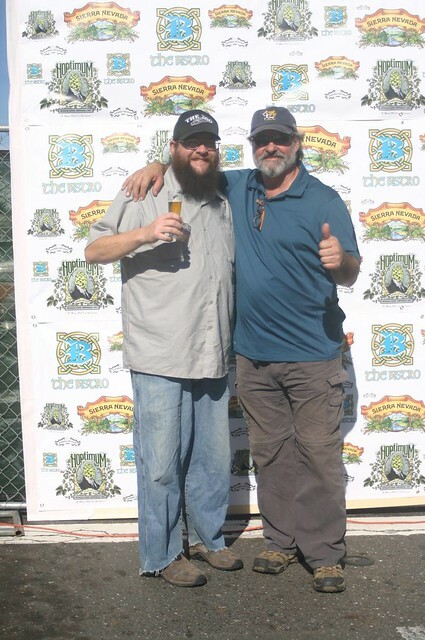 He took classes at UC Davis and became a brewer, and in 2005 was named head brewer. He’s a terrific person, one who often doesn’t get all the credit he deserves, especially since he’s been making some amazing beers. Please join me in wishing Dylan a very happy birthday. 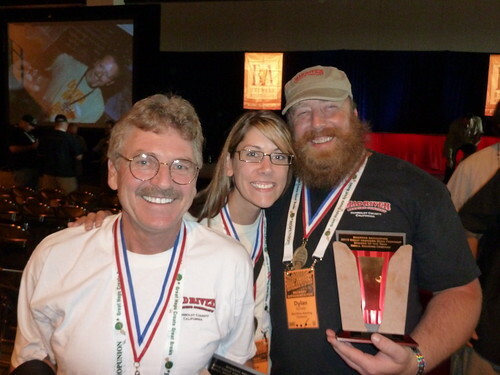 Dylan with some of the crew from Mad River after winning Small Brewery and Brewer of the Year at GABF in 2010. Behind the bar at Mad River’s tasting room during a visit there last summer, when I was in the research phase for my latest book, California Breweries North.